Ecommerce entrepreneurs are responsible for every area of their business, from accounting to order processing to website maintenance. So it is common for some small business owners to find that they need to learn new skills to either get their business started or help it grow. In this article, you’ll find five resources for free, business training. These programs vary in length or depth, but they all can help. 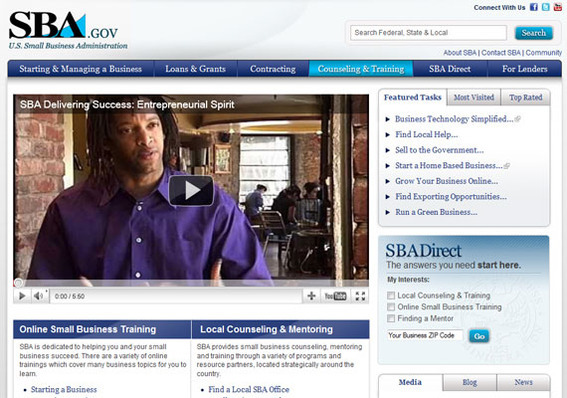 The U.S. Small Business Administration (SBA) offers a series of online videos and articles aimed at helping entrepreneurs learn about starting, managing, and financing a business. In addition to its online offerings, the SBA also offers local training and counseling at offices throughout the United States. These Small Business Development Centers may even provide one-on-one counseling for eligible business owners. Often the counseling comes from retired business leaders, so that these courses may also serve as good networking opportunities. The Massachusetts Institute of Technology (MIT) makes a significant number of its classes available online for free. 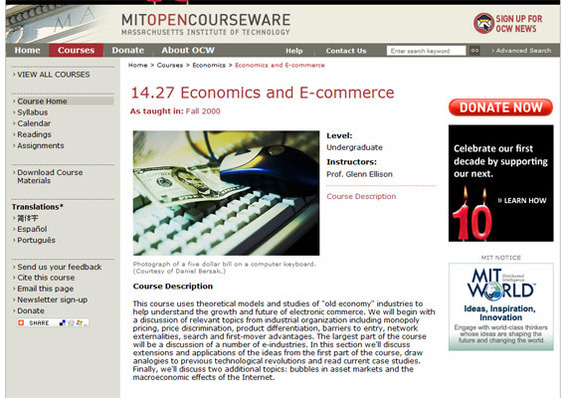 Frequently, the MIT OpenCourseWare classes feature video lectures, reading materials, and assignments. Classes of particular interest to online retailers would include discussions of economics, ecommerce, financial management, entrepreneurialism, accounting, negotiation, and marketing strategy, to name just a few. Many of these classes are from MIT’s Sloan School of Management. While the course material offered online might be a bit dated, this is still an excellent resource. The University of the People does charge an application fee, testing fees, and a graduation fee, should you seek a degree. But classes are free. Students can actually earn a bachelor’s degree in business administration or computer science. The University of the People’s course catalog has classes on ecommerce, entrepreneurship, the principles of marketing, and much more. Although the school is still going through the accreditation processes, it may well be that one could, as mentioned above, earn an actual degree. Although many — if not most — of the organization’s 2,100 video lessons tend to focus on math or science for younger students, there is still plenty that an ecommerce businessperson could pick up from the site, including an excellent education in finance, banking, and modern economics. 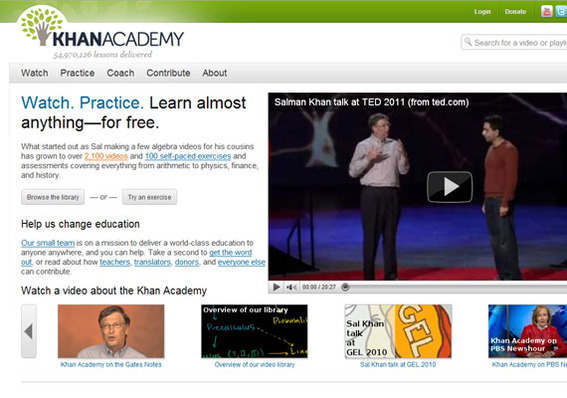 Khan classes are pithy — lasting just minutes — but convey practical and in-depth knowledge. 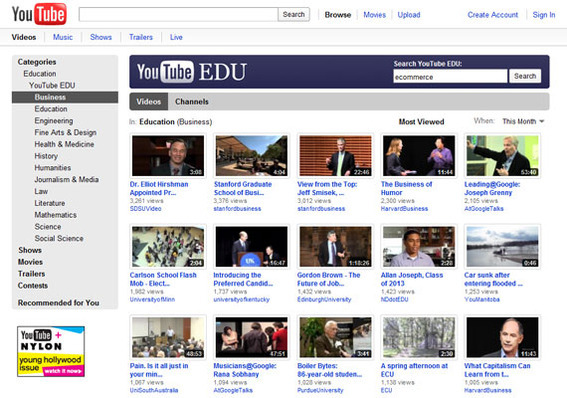 YouTube EDU is a channel dedicated to aggregating the best educational videos published to, not surprisingly, YouTube. The channel features lectures, interviews, and classes from leading publishers, universities, and businesses. For example there is an excellent interview with Ben Huh, CEO of the Cheezburger Network that the Harvard Business Review published. You may also want to check out a conversation with UCLA Professor of Marketing Carol Scott, wherein she described personalization in the online shopping experience. Although an occasional off-topic video does seem to land in the YouTube EDU business stream, for the most part this channel represents another great opportunity to keep learning.